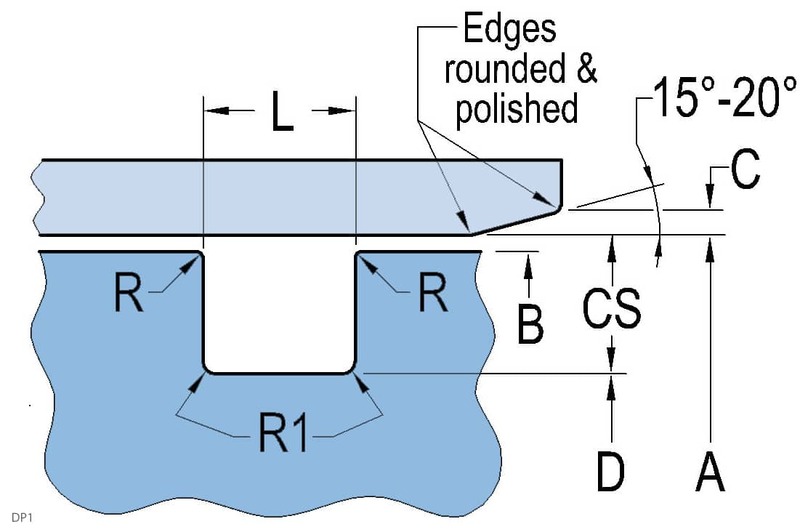 Rectangular energized cap seal design for high-pressure piston sealing applications. Rectangular energizer ensures a stable, positive seal and provides continuous contact along the sealing surface. The specially designed hard wearing cap is easier to install than PTFE cap seals and provides high extrusion resistance. Further, the design provides a fluid reservoir between the two beveled sealing lips which retains system fluid, resulting in reduced running and breakaway friction. 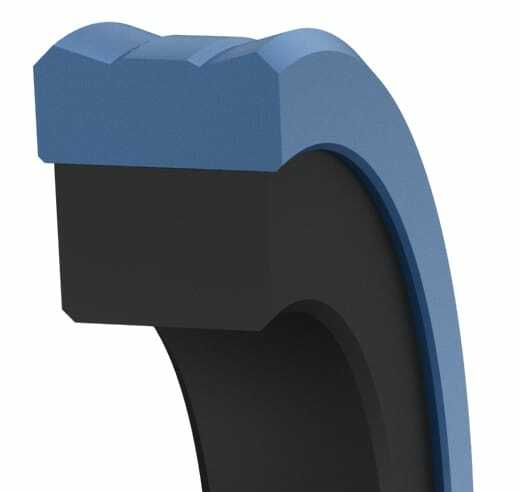 Beveled sealing lips for maximum fluid sealing ability protect against extrusion during pressure spikes. The small axial seal height reduces piston height, weight and cost. ISO 7425-1 and many standard and custom sizes available. Additional standard materials available: High-performance polyurethanes, low- and high-temperature, FDA-compliant seal material grades, engineered thermoplastics, Hytrel®, NBR (Nitrile), FKM, Viton®, HNBR, EPDM, Aflas®, Silicone, and proprietary specialized Duralast™, Duraloy™, and Permachem™ materials.